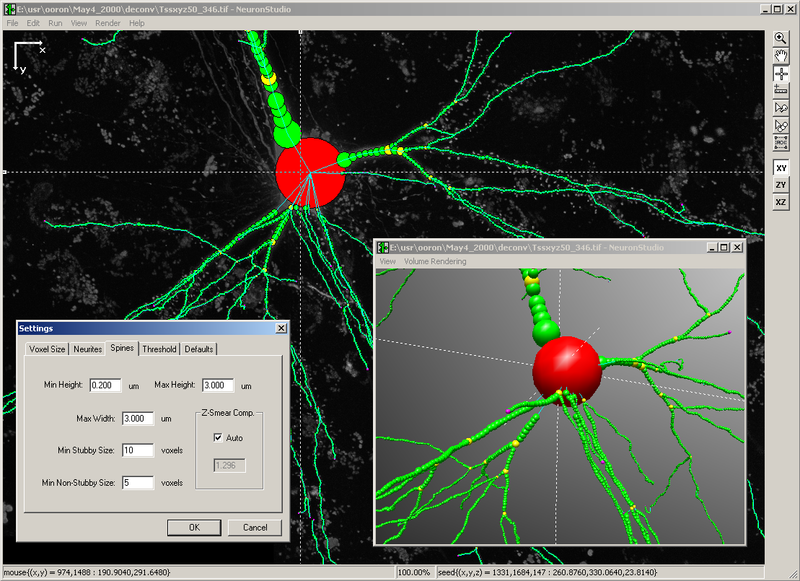 Neuron studio is a software package to reconstruct neurons from 3D confocal images. Reconstruction can be done manually, semi-manually or fully automatic. The images as well as the detected objects are rendered in 3D. 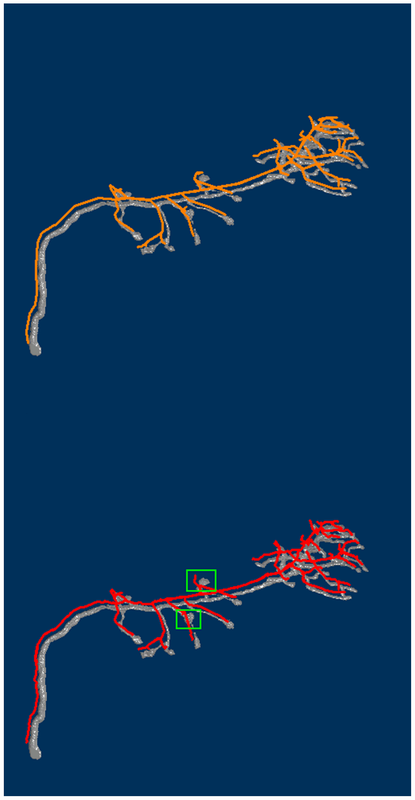 A spine detection and classification function is also included. Results can be exported as a text file with coords of the spines. It seems that active development has stopped in 2009. 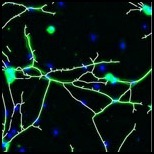 NeuronStudio is being developed at the Computational Neurobiology and Imaging Center (CNIC), a research laboratory at the Neuroscience Department of the Mount Sinai School of Medicine in New York. NeuronStudio can be used with default parameters or user-defined parameters (Fully or semi-automated). For post-processing analysis, use [Analyze Skeleton](http://biii.info/node/1976) plugin written by the same author.